State Rep. Ryan Bizzarro opens Edinboro office as 3rd District expands to southern Erie County. 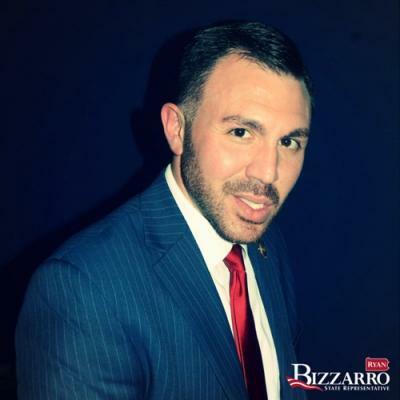 State Rep. Ryan Bizzarro will host a ribbon cutting ceremony and grand opening of his new office in Edinboro. Redistricting during the previous legislative session moved the 5th Legislative District to southeastern Pa. left Rep. Greg Lucas without a seat. Bizzarro's 3rd Legislative District absorbed part of the former 5th District. "My staff and I want to make sure we're effectively serving all constituents now that Edinboro and Washington Township have joined the 3rd Legislative District as a result of the redistricting process," Bizzarro said in a press release. "I am hopeful that the convenient location of our new satellite office in Edinboro will make it even easier for residents from all over the district to connect to the state-related services they need." Beginning Jan. 12, the Edinboro office will be open Mondays, Tuesdays, Wednesdays and Fridays from 8:30 a.m. to 4:30 p.m. and can be reached at (814) 734-2773. The grand opening and ribbon cutting will begin at 9am on Jan. 12. Jim Wertz can be reached at jWertz@ErieReader.com or follow him on Twitter @jim_wertz. New opportunities emerge, but will Erie's labor force have the skills to capitalize?